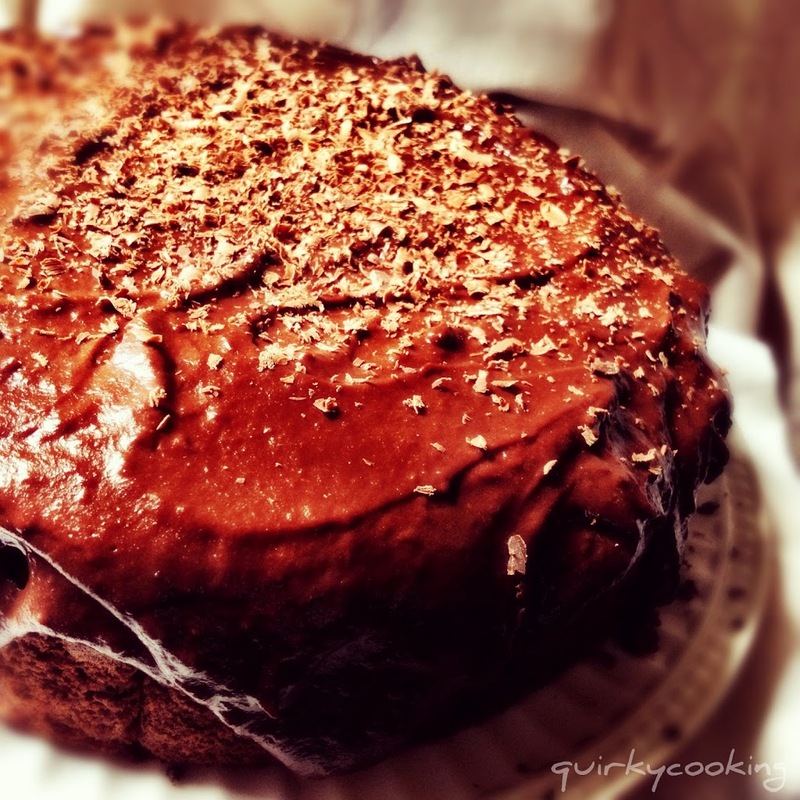 This is a lovely, moist cake, which is sometimes hard to achieve with gluten free flour! 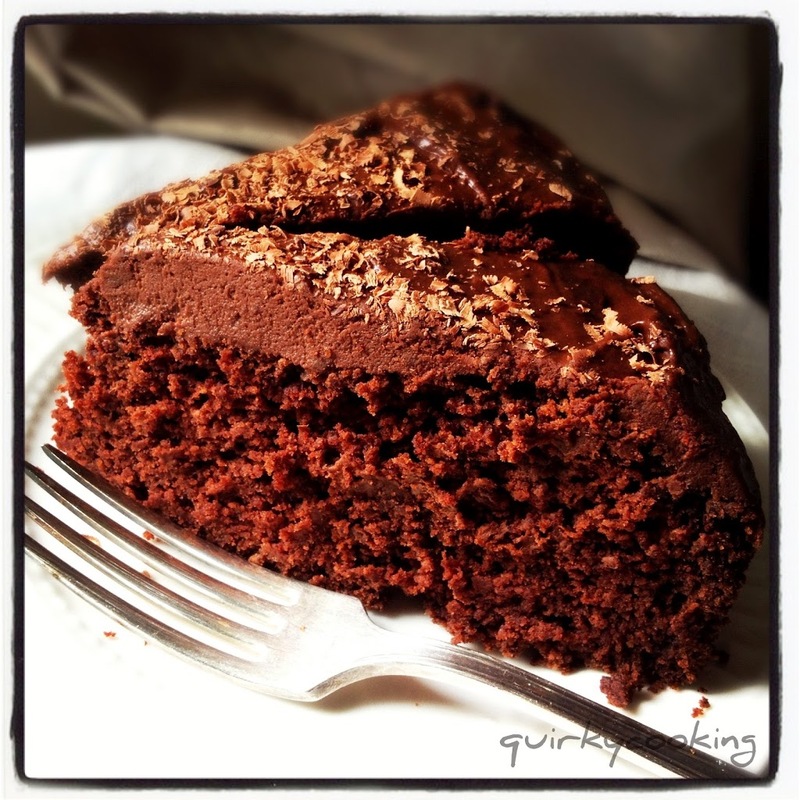 My friend Sarah made this recipe up when she was looking for a gluten free, dairy free, egg free cake. I’ve tweaked it a bit to make it healthier and Thermomix friendly. It’s also very easy to make nut free as well – just use rice milk instead of rice-almond (or your preferred milk), and grapeseed or light light olive oil instead of the macadamia oil. For a nut free icing, just use coconut cream instead of the almond milk, mixed with the chocolate and dates. You can make this cake with or without eggs – the eggs make a lighter cake, but without eggs the texture is lovely and moist and fudgey. (The photos are of the cake made without eggs.) It’s a very versatile recipe (see the variations at the end), and very quick and easy – just throw in ALL the ingredients and whiz it up. Perfect for birthday cakes and cupcakes! Weigh into Thermomix bowl all ingredients and mix on speed 5-6 for 20 seconds, using spatula to assist if needed. Pour into two round cake tins, or 1 large springform tin, well greased or lined with baking paper. Bake at 180C for about 30 mins (or longer if in one large pan), until a skewer inserted in centre comes out clean. Or you can bake in muffin tins for about 15 to 20 minutes. 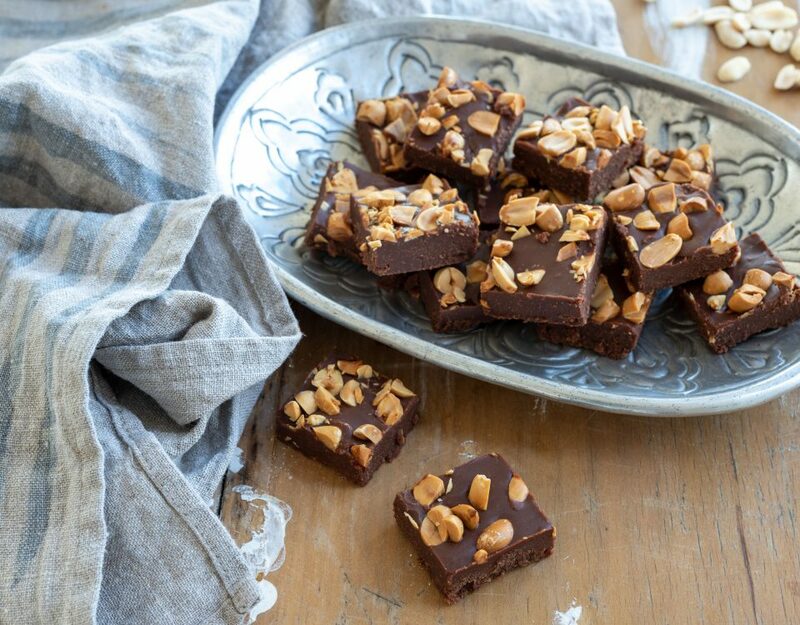 The icing in the photos is made from raw dates, dairy free dark chocolate and almond milk. 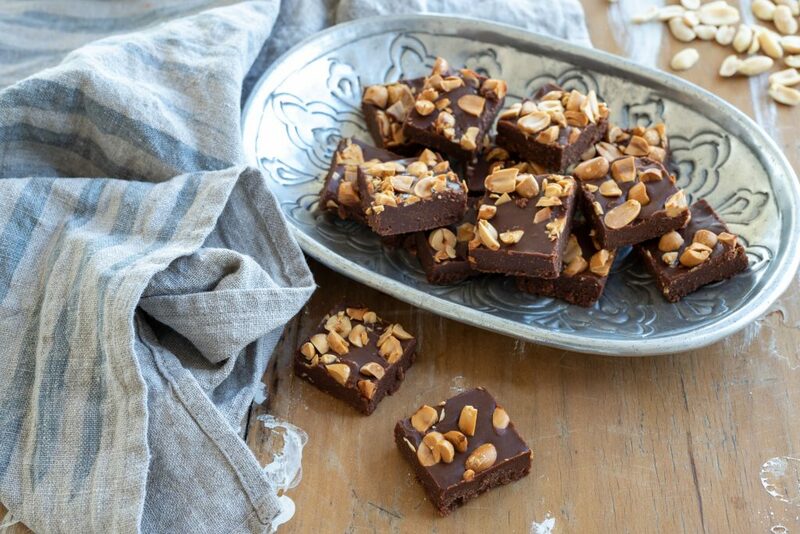 I don’t really measure it – I just chop up a couple of big handfuls of dark chocolate and drop into Thermomix bowl, add about 6 pitted raw dates and about half a cup of raw almond milk (made in Thermomix). I whiz it up on speed 9, scraping down a couple of times, then melt at 50C for 3 minutes, speed 2, or until smooth. Add some vanilla bean paste too if you like. If it’s too thick, add a little more almond milk. (Almond milk is just 100g blanched almonds ground up on speed 9, with 500g water and a dash of vanilla extract, blended for 1 minute speed 9.) If you need a nut free icing, you can use coconut cream instead of almond milk. 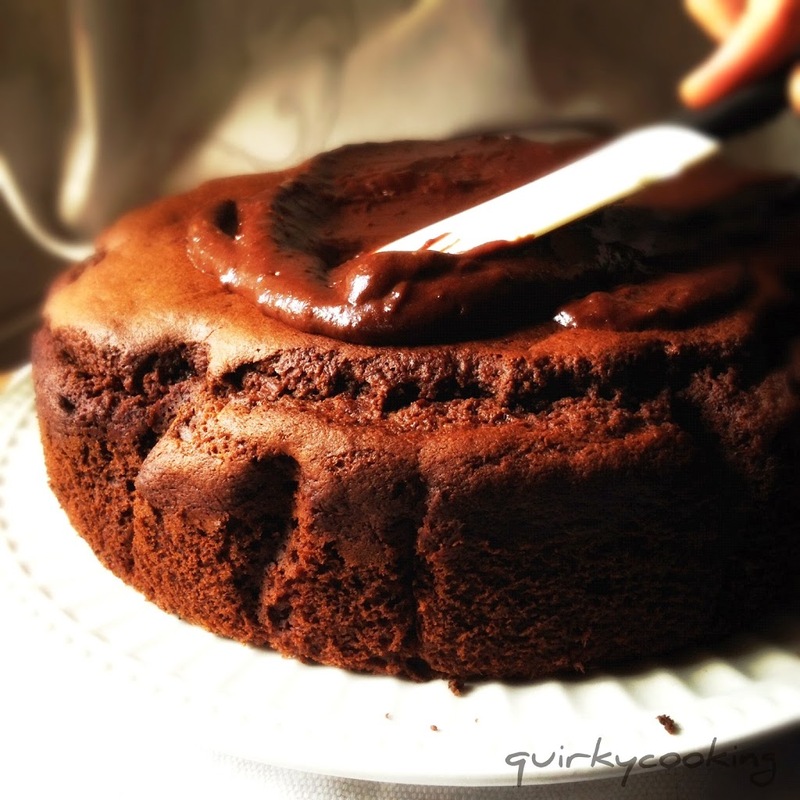 – Chocolate-coffee cake: leave out bananas, add 220g strong coffee and 1 tsp vanilla extract. I’m a naturally ditzy baker and every year I have to take a healthy cake into school for my daughters birthday celebration – and every year I do something wrong in the rush!! Hoping this year I can make it a few days ahead so if I mess up I can start again 🙂 so – does anyone know how far ahead I can make this? I made a batch of choc banana (including eggs) & a batch of banana (egg-free) muffins for tuckshop. 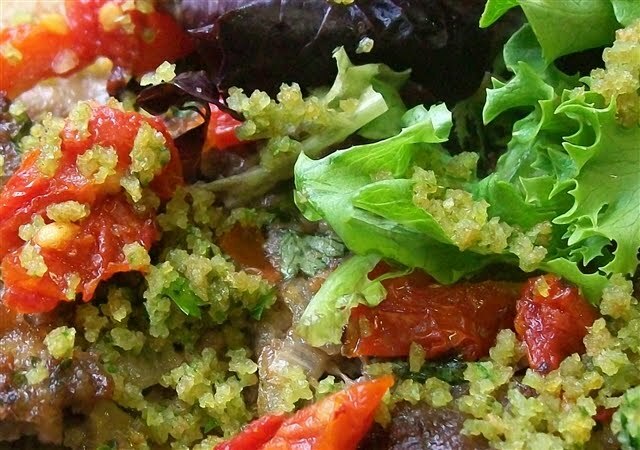 This recipe is so simple & delicious. I gave a small taster to my hubby & kids first. Hubby’s response was, ‘they’re better than those healthy ones you make’. I stood and watched him devour it for a moment while considering if I should tell him what’s in his muffin … ? OMG just made this as cupcakes and they are light and fluffy and delicious! I did egg free, almond free, so used rice milk, 400g banana with the 2 teaspoons of baking powder and I wanted to cut out some sugar but wasn’t sure how it would go with also not using egg. So I used half the rapadura (60g) and 60g of rice malt syrup. The cupcakes still just took the 15mins to cook. Delicious! Thanks Jo for such a yummy, versatile recipe ? Brewed coffee would be better. The recipe wouldn’t work without bananas; you’d need to substitute it with something like baked sweet potato because you’d need the bulk. 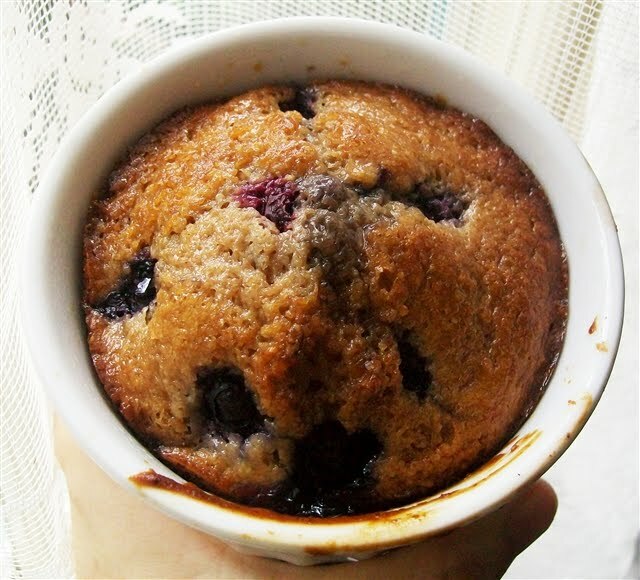 Hi, I found this recipe better than a lot, but find it quite spongy and also today it rose really well, but then went down again by nearly half, do you know why this may be? Does this cake stack well? I’d like a 4 layer cake for my daughters birthday…. Wow this cake – is just amazing. I have a GF & DF child, and i’ve trialled several different cake recipes for her birthday party. This is by the the BEST one. It’s moist and delicious, even the none GF humans wouldn’t be able to tell. This is seriously the most delicous cake. I substituted flours but that’s it. Thanks for sharing. I took it to work for a birthday celebration everyone wanted the recipe. Rachael, what flour did you substitute for the Organ flour, and how much ratio ? Can I substitute the GF flour for almond meal? What adjustments would I need to make? Thanks. I have Orgran self raising flour. Should i leave out the salt, baking powder and soda? These were amazing!! How long will they last in the fridge? Does this cake freeze and defrost well? This is amazing! Made a few subs with whatever I had. Turned out perfect! And love the icing recipe. Will use again for sure! Would coconut sugar be ok instead of rapadura? Has anyone made these grain free too? WoW….. No I truly mean WoW!!!! It’s the best cake ever, I mean that too. 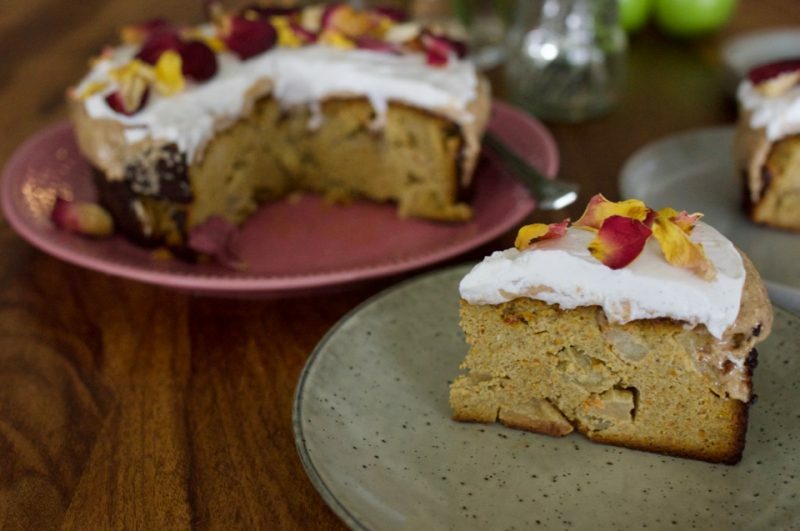 For a cake that’s not made with almond meal it truly is sensational. I’ve been making your recipes Jo for a while now… Then I splashed out and bought a thermo and suddenly your recipes seem so much easier. I live what you do for all of us with gut conditions, thank you for having such an enthusiastic passion.